Interested in serving our teas and spiced lattes to your customers? Great! We’re looking for new partners in 2019 to help us expand. Together, we can help more people nourish themselves with herbs through tasty, no-nonsense blends. 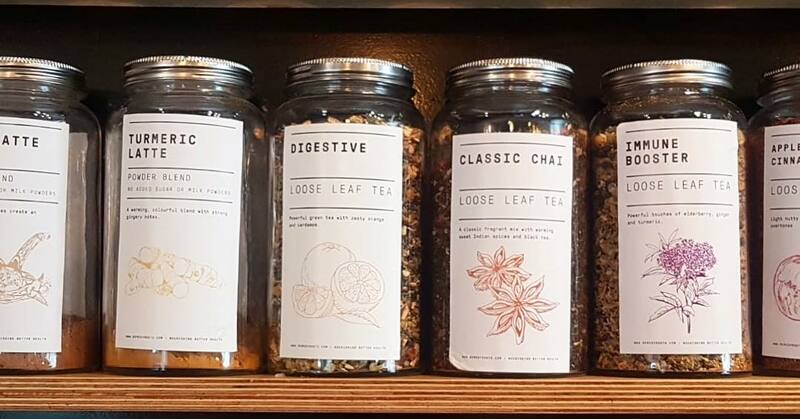 To enhance the loose leaf experience for your customers. For easy storage and to boost sales. Subject to minimum order. We add no sugars or milk powders to our lattes, making them suitable for all. Committed to no additives or flavourings and an education around herbal wellbeing. Our commitment to the environment means you get closer to your plastic reduction targets. Reconnecting people with the wonderful properties of herbs and quality ingredients. Improved over time by listening carefully to customers. Send us your details so that we can get in touch with product details, wholesale prices and order methods. Organisation TypeWhich best describes you? Get great recipe ideas, exclusive discounts and offers, plus access to our private members group! Our Packaging is Going Compostable. Copyright © 2019 Remedy Roots. All Rights Reserved.